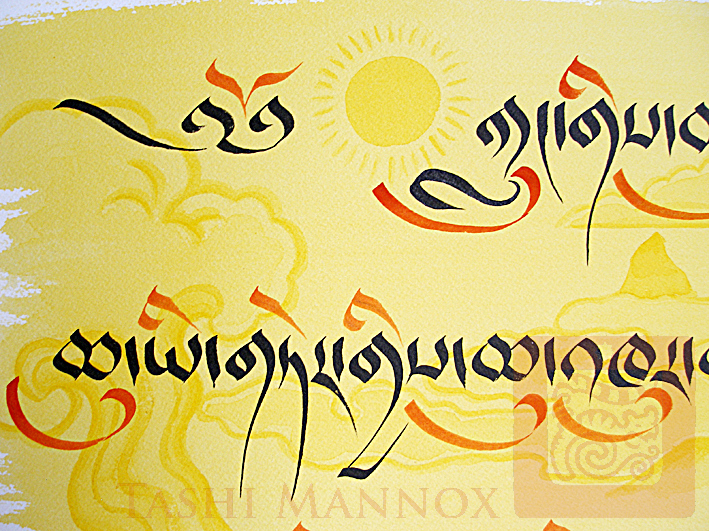 Chinese ink on block water-colour paper 46x61 cm. 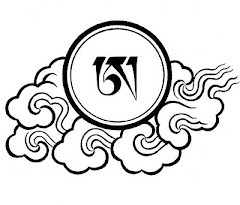 A detail of the "Beautiful Bodhicitta"
A person who has Bodhicitta (awakened mind) aspires to become enlightened for the benefit all beings, for their ultimate happiness and liberation. When a person reaches that level of unconditional love, compassion and understanding, he or she can then be called a Bodhisattva. 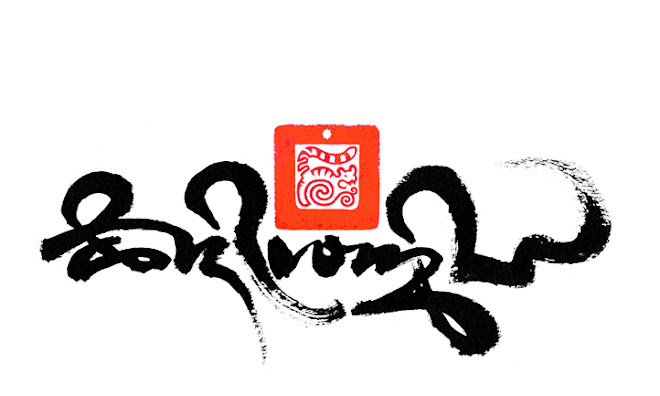 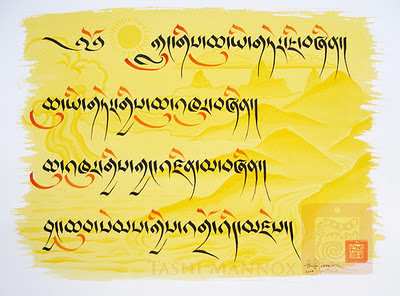 Calligraphy in Chinese ink, Japanese mineral paint, on a wash of pure saffron depicting a landscape of the sun and clouds over mountains and foot-hills, river and the sea. 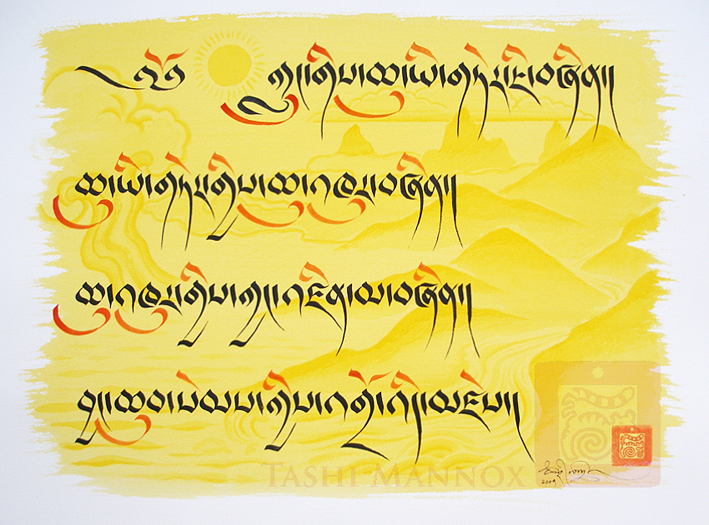 A praise of Bodhicitta from “This Jewel Lamp” composed by Lama Tenzin Gyaltsen in Varanasi, India. 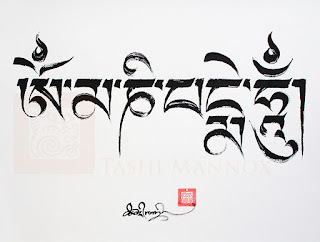 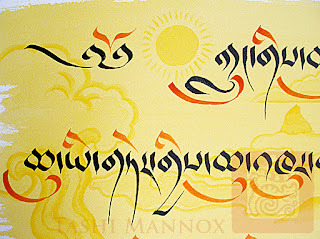 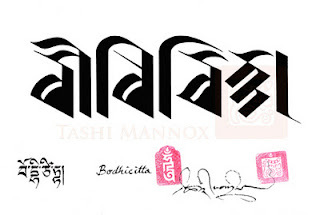 "Bodhicitta" in the ancient Wartu Sanskrit.